HOW DO YOU KEEP YOUR STORAGE UNIT FROM BEING OVERRUN BY RATS? You've probably known someone who had their stored items destroyed by rats. Perhaps you've even had rats disturb your own storage space. Rats are crafty, destructive pests that can be tough to keep away. If you are thinking of renting a storage unit in the coming weeks or months, rat protection needs to be one of your chief concerns as you select and pack your unit. Here are five ways to prevent your storage unit from being overrun by rats. Never agree to rent a storage unit until you have seen the facility in person. There are some storage facilities with rusted-out doors and rickety old buildings, but rest assured that a reputable facility will look nothing like this. A good storage facility will look pristine and well-maintained. The floors should be swept clean, the doors free from rust, and the ceilings dry, which demonstrates that the facility owners value cleanliness, which helps keep pests like rats away. 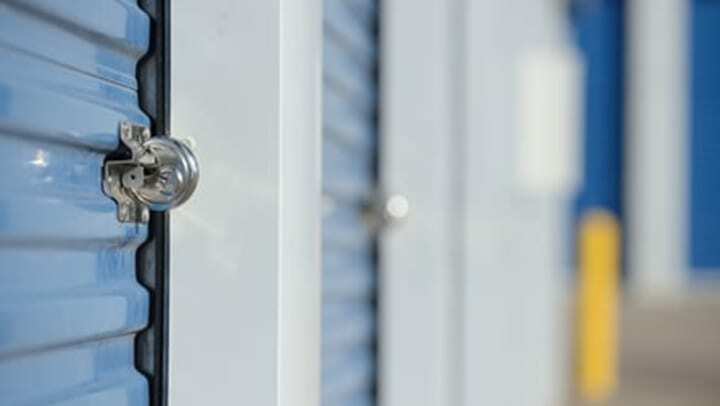 When looking over a unit, you should specifically make sure there are no holes in the walls leading to the outside or into neighboring storage units. Small rats can fit through a hole the size of a quarter, so even seemingly tiny holes could allow rats living outside or in another customer's storage unit access to your space. Even in the best-maintained storage facilities, rodent prevention has to be a collaborative effort between the facility owners and those who rent the storage units. If renters start storing food in their units, there is only so much facility owners can do to keep rats away. Even one seemingly well-sealed bag of cereal or cat food can be enough to attract rats if they live in the surrounding area. Packing a storage unit is a big undertaking, and you're sure to want some refreshments during the process. If you need a snack break, make sure you step outside the storage unit to consume your food and beverages. A few crumbs from a roll or a forgotten soda cup with some sugary residue in the bottom are enough to attract rats. Make sure any friends or family members who are helping you pack your storage unit know this rule and follow it too. If you are storing an oven, refrigerator, toaster, or any other food-related appliance, make sure you clean it very thoroughly before putting it in storage. Sticky food residue in the bottom of a fridge or a few crumbs left in the crumb trap of a toaster may attract rats. Once they have entered your storage unit, they may start causing more extensive damage as they tear apart clothing and chew cords to make nests. The methods discussed above should keep rats away in most cases, but if you want a little extra protection, you can also take some peppermint-scented sachets and scatter them throughout your storage unit. Place a few drops of peppermint oil on some pine cones, and encase the pine cones in mesh or thin cloth. Rats are said to hate the smell of peppermint, so a few well-scented peppermint sachets placed around your unit may keep them from sticking around if they do happen to find a way into your storage unit. To keep rats away, storage facility owners and customers who rent storage units need to work together. If you are looking for a clean, climate-controlled facility to store your items, contact Cardinal Self-Storage. We take pest control seriously, and our managers take pride in the like-new condition of our pristine buildings.